coffee | I made inky. Comic #76 – Mocha Mocha. Nooo! Poor Ian. He never gets his drink made right. 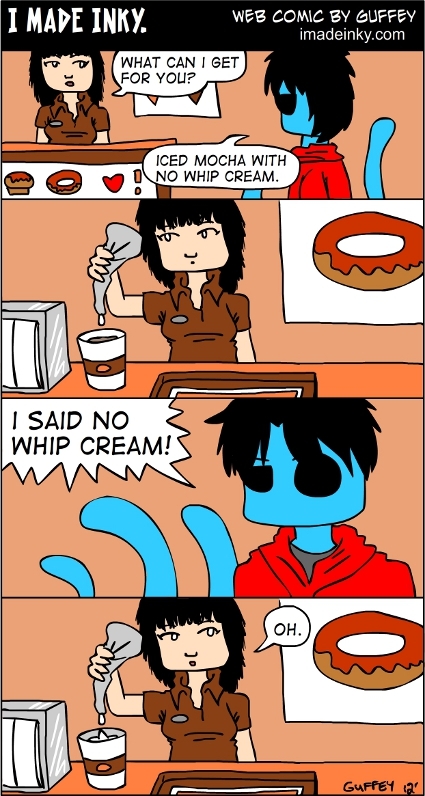 Comic #72 – Whip Cream! 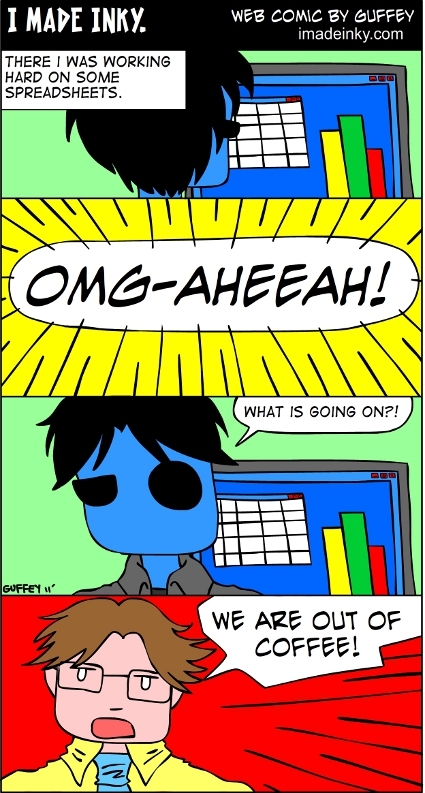 Comic 72 took 2.5 hours to create. I really put a lot of effort into this comic. Maybe it was a true story that happened to Ian. No means no… especially when it comes to whip cream! If the office runs out of coffee, does everyone go crazy? 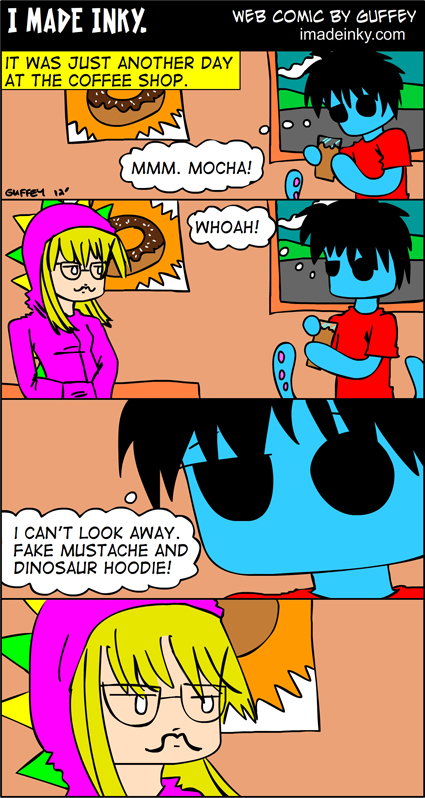 Comic 21 took 3 hours maybe to complete.